This practically furnished holiday home is located in Tzummarum. The open kitchen leads to the living room with a dining table and a seating area. After an active day in the beautiful natural surroundings, you can relax with your family and friends on the open terrace. 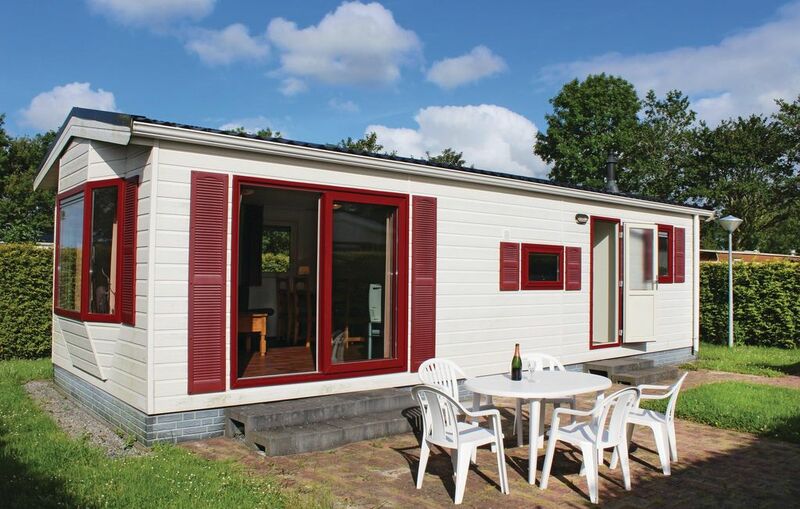 This cottage is an ideal base for an active holiday in Friesland. The house is located in a beautiful holiday park in the province of Friesland and is well suited for families with children. There is an outdoor swimming pool with separate children's area, a cafeteria, playground, table tennis, tennis court and volleyball court in the holiday park. At the reception you can rent bicycles. Free Wi-Fi is available in the reception area. There are many places to explore in the immediate vicinity of this house. You can go for mudflat walks in the unique natural surroundings of the Wadden Sea. You can walk or cycle along the embankment towards Harlingen, enjoying the beautiful view of Wadden Sea on one side and the typical mounds with authentic farms on the other side. Harlingen is a picturesque town located just 14 km away. In this beautiful port town you will find a beach and many shops. You can also visit the town hall, the lighthouse and the Zuiderhaven yacht harbour. From Harlingen, you can take a ferry trip to the islands of Vlieland and Terschelling, which are definitely worth a visit. The city of Franeker, which is part of the well known 'Eleven Cities Tour’, is just 5 km away. Here you can visit the ancient town and the Planetarium. Leeuwarden, the capital of Friesland, is 22 km away from the holiday home. On cooler days, you can take your children to the indoor playground Aeolus. This playground, located 5 km away, offers a variety of activities. You can also visit the glass pyramid or the indoor pool Bloemketerp in Franeker, located about 7 km away from the house. Das Haus 111 war im Großen und Ganzen sauber, die Anlage gepflegt und ruhig. Terrassentür war leider defekt, alter Röhrenfernseher mir schlechtem Bild (1 deutsches Programm). Gartenmöbel vorhanden, eine zusätzliche Liege wäre schön gewesen. Wir haben uns dennoch sehr wohl gefühlt, Preis-/Leistungsverhältnis okay.